God reveals Himself to His creation in many ways, even in the most unexpected avenues. A Fulani man named Sulieman from West Africa experienced God during his doctoral studies at an Islamic university in the Middle East. Sulieman was a high-ranking Muslim cleric and well-known Muslim scholar. During his time at university, he had a deep feeling of dissatisfaction and unhappiness. 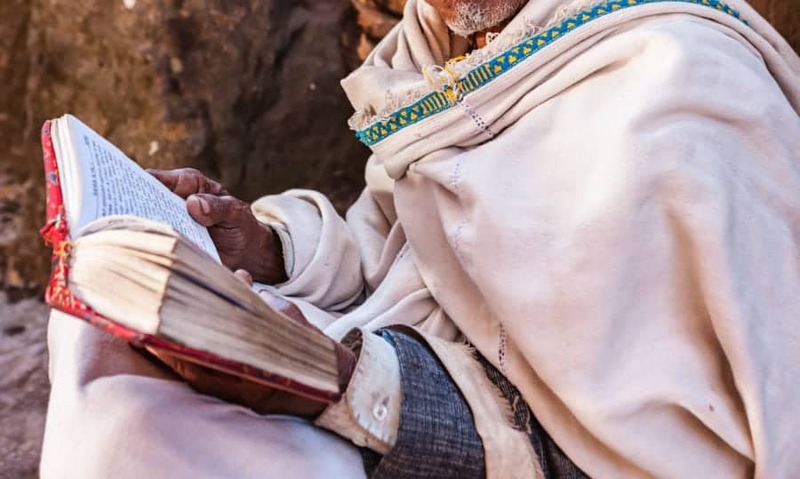 While he was reading the Qu’ran one day, God led him to read a verse in the Qu’ran which says, “God delights in those who have faith in Him.” When Sulieman read it, he experienced a peace of mind and heart like never before. He began to explore the theme of faith throughout the Qu’ran and Hadith. Sulieman learned that when Al Masih Isa (Jesus) comes at the end of the world, Isa is going to take with Him those who have accepted God by faith. Amazed by this discovery, Sulieman began to share this new-found truth with his teachers and fellow students. Some accused him of reading the Bible, but Sulieman had never seen a Bible in his life, let alone read it. The school authorities were so suspicious that one night they sent the school guards to search his room for a Bible. When Sulieman would not stop sharing this truth, he was forced to stop his training and was sent back to his home country. Back in West Africa and eager to know more about Isa, Sulieman was able to get a Bible through a friend and Christian brother, who was willing to mentor him. After 6 months, Sulieman received Jesus as his Lord and Savior and began to share his faith with family members and neighbors. Some came to faith through his preaching, which led him and his wife to eventually lead a Fulani church in their house. In 2013, Sulieman was exposed to a DMM training which radically changed his ministry. Sulieman’s journey hasn’t been free of pain or trials though. In fact, he has undergone severe persecution from his close relatives because of his faith. His family dispossessed him of his father’s inheritance, and his brothers attempted to kill him twice by sending hired killers. God miraculously protected Sulieman and his family in both attempts. Working through the network he had as a Muslim cleric, Sulieman catalyzed the planting of more than 50 churches, 3 generation deep, in two and a half years. Today he continues to share his story and the incredible faith that he discovered unexpectedly one day while reading the Qu’ran. Many believers across the world face danger every day because of their faith. As a result, we change many names and withhold their specific locations so that we can share their stories while not putting them at risk.